The Board of Directors of the United Armenian Fund announced that the non-profit organization ended its operations on November 30, 2015, following the recent passing away of its main benefactor, Mr. Kirk Kerkorian, preceded by the closing down of his Lincy Foundation. After 26 years of providing humanitarian aid to Armenia and Artsakh, the five major Armenian American religious and charitable organizations that formed the UAF have decided to concentrate their attention and resources on other projects that they sponsor and fund in Armenia and the Diaspora. The leaders of UAF member organizations expressed their gratitude to Mr. Kerkorian for his generosity, who through his Lincy Foundation, contributed tens of millions of dollars over the past quarter century to fund the UAF’s operations, including the shipment of hundreds of millions of dollars of relief supplies to Armenia and Artsakh by air and sea. The UAF was formed shortly after the devastating 1988 earthquake in Armenia to provide much needed humanitarian aid to the destitute survivors in the earthquake zone. But, after the collapse of the Soviet Union and the blockade of Armenia by Turkey and Azerbaijan, the UAF decided to expand its mission to include the entire population of Armenia and Artsakh. Over the years the UAF acquired, shipped and distributed all types of relief supplies, including medicines and medical equipment, agricultural equipment, seeds, computers, books, toys, winter clothing and shoes to hospitals, clinics, schools, orphanages, and hundreds of charitable organizations throughout Armenia and Artsakh. The UAF Board of Directors thanked the many generous donors who contributed large quantities of vital goods and supplies to the UAF ever since 1989. The Board also commended the UAF staff—President Harut Sassounian and Administrative Assistant Nouritza Abujamra—for their dedicated service to the organization and the needs of the people in Armenia and Artsakah. In the past 26 years, the UAF has delivered to Armenia and Artsakh a total of $720 million worth of relief supplies on board 159 airlifts and 2,260 sea containers. The UAF is the collective effort of the Armenian General Benevolent Union, Armenian Missionary Association of America, Armenian Relief Society, Diocese of he Armenian Church of America, and the Prelacy of the Armenian Apostolic Church. 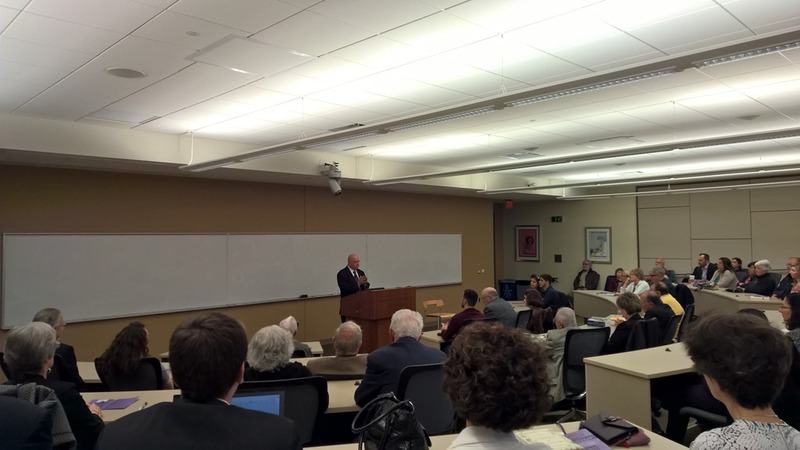 (Milwaukee, Wis.) Prof. Richard Hovanissian opened his Oct. 18, 2015, talk at Marquette University Law School by reflecting on this year’s centennial observation of the Armenian Genocide. The UCLA professor emeritus commented on the amount of good press and academic conferences the Armenian cause received in 2015, Pope Francis’ proclamation, and the unity shown by the Armenian community. But the events of a century ago and their ongoing implications, rather than the commemoration, were the primary subject of his talk. The event, sponsored by the Wisconsin Armenian Genocide Centenary Committee, drew an overflow audience. Hovanissian suggested ideology and technology as the causes of such mass killings. In the case of the Genocide, the ideology was the extreme nationalism of Turkism and the technology was the telegraph, which allowed Talaat Pasha to wire instructions to subordinates across the Ottoman Empire and to expect detailed reports in return. The outbreak of World War I gave the Turkish regime its opportunity. Without the cover of war, Hovanissian suggested, the Genocide might never have occurred. Our Society for Orphaned Armenian Relief (SOAR) Wisconsin chapter delegation included the two chapter co-presidents (Dr. Chuck and Mary Kay Hajinian), the vice president (Harry Aghjian), and the treasurer (Leon A. Saryan). SOAR is a charitable organization recognized by the US government under applicable law. The purpose of our visit was to visit an orphanage to which our chapter has provided assistance and to evaluate the economic, historical and social makeup of the people to better understand the orphan situation in Armenia. 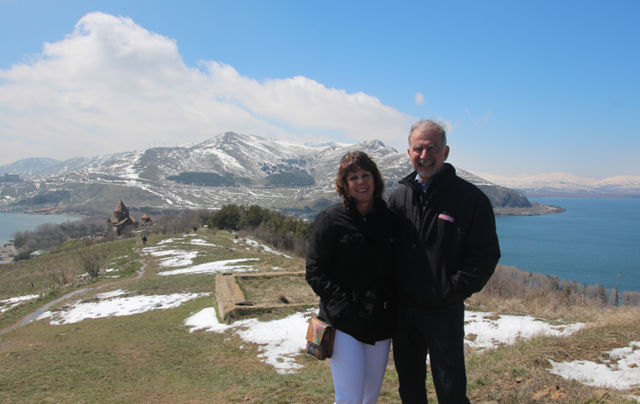 On our first day we met with the SOAR representative in Armenia, Siranoush Hovannesian. She escorted us to the Mari Izmirlian orphanage in northeast Yerevan, which we first visited in 2013 and which our chapter has supported financially in the past. This facility cares for children who are handicapped, disabled, or otherwise have special needs. The number of children being cared for has climbed to 110 from 90 two years ago. Staff salaries and basic essentials are covered by the government’s Ministry for Social Services, but very little money is allotted to capital needs and facility upgrades. We were able to observe several improvements from our visit two years earlier, made possible in large part by donations from our SOAR chapter and other diaspora organizations. Sinks now had faucets, toilets had seats, and damaged walls were painted. Fire-damaged areas were repaired. Medical and kitchen refrigerators donated by our chapter two years earlier have been installed. Also, many children have been provided with new beds, mattresses, and closets for their clothing. We noted that bronze plaques have been mounted acknowledging the Wisconsin and Chicago chapters of SOAR for their donations. We met with the orphanage staff and found them deeply appreciative and committed to the care of these children. This is a government sponsored home where workers are not highly compensated. To do this work of caring, cooking, cleaning up these kids requires a special heart. This staff seems to have that. We were also able to assess additional needs: another forty new beds and mattresses, kitchen equipment (commercial blenders, a commercial bread slicer, food processors, large pots and pans etc.) are needed. Another large commercial refrigerator is also needed (estimated at $5000) as well as some additional new washing machines and clothes dryers. During our meeting with Siranoush, we delivered 14 large bottles of multi-vitamins for orphan children donated and carried to Armenia by the SOAR-WI chapter. We also gave her over 5000 custom-prepared prayer cards in English and Armenian. These prayer cards were designed by Wisconsin SOAR members and Father Yeghia Hairabedian of Glendale, California thru Renewal in Christ Ministries. The cards have a picture of Christ with children and an encouraging spiritual prayer for the children to recite. Some cards were also given to a pastor to take to Jordan and Syria for refugees and orphans. We also delivered over $2000 worth of dental supplies to support the establishment of dental clinics in Armenia’s orphanages. Partially at our initiative, the Mari Izmirilian Orphanage has a new two-operatory dental clinic operated by a Polish dentist who comes to Armenia twice a year to care for all the children at that orphanage. Siranoush was instructed to distribute the dental supplies as she saw fit. We also met with several Armenian institutional directors to discuss synergy with SOAR, including Vahram Kazhoyan (vahram@rocketmail.com). Vahram wears multiple “hats” for the government and helps oversee NGO’s. He is the hospitality spokesperson for the Foreign Ministry and works as a Goodwill Ambassador. He was instrumental in working with businessman James Tufenkian in setting up a shelter for battered women in Yerevan. We also met James Tufenkian and stayed at his hotel. While in Yerevan, we also met with an NGO for Syrian-Armenian refugees. This “New Aleppo” group are relocating families and orphans. These numbers are as high as 16,000 people. We met with families whose ancestors operated ran orphanages during the Genocide. Dr. Hajinian was interviewed on Armenian H3 television, a Danish newspaper and the New York Times published my comments. Others in our group were also interviewed. During the visit the Wisconsin SOAR officers were able to observe the general status of living conditions that make orphanage institutions essential for the social fabric of the country. We returned with a new list of needs for the Mari Izmirlian Orphanage and introduced many to the work of SOAR. Document prepared by Dr. Chuck Hajinian, President, SOAR-Wisconsin, and Dr. L. A. Saryan, Treasurer, SOAR-Wisconsin. Yervant Ter-Minasian had a short and eventful ecclesiastic career (he left the Church at the age of 31), when he was already an important name in Armenian scholarship. He would still be active for the next six decades and leave a prolific legacy. He was born in the village of Harich, now in the province of Shirak (Republic of Armenia), on November 19, 1879, into a family of priests. He graduated from the school of the local monastery in 1892 and entered the Kevorkian Seminary of Holy Etchmiadzin. After his graduation in 1900, Catholicos Mgrdich Khrimian sent him to Germany, where he studied theology and ancient languages at the universities of Berlin and Leipzig with famous theologian Adolf Harnack among other professors. He defended his dissertation in 1904 with a study of the relations between the Armenian and Syriac Churches, published in German in the same year, which became the cornerstone of this field. Back in Etchmiadzin, Ter-Minasian was consecrated celibate priest (vartabed) in 1905 and taught at the Kevorkian Seminary, becoming also the director of the printing house of the Holy See. He published a revised version of his doctoral dissertation in Armenian (1908), as well as half a dozen books, including several textbooks, between 1906 and 1909. An ongoing polemics between conservative and liberal members of the congregation about reform in the Armenian Church ended with an article by the young vartabed, published in the monthly Ararat of the Catholicosate, being publicly burned by order of the locum tenens, Archbishop Kevork Surenian (later Catholicos Kevork V), in 1909. This polemics led him to leave the Church in February 1910. He would later marry and have five children. Nevertheless, his relations with the Holy See soon returned to normalcy. In 1944 he even declined an offer from Catholicos Kevork VI to return to the Church and become a bishop. Ter-Minasian devoted himself to his pedagogical vocation. He taught in schools at Alexandropol (Gumri, 1910-1917) and Tiflis (1918-1919). In late 1919 he was entrusted by the government of the Republic of Armenia to become one of the organizers of the University of Yerevan, and was a professor there in 1920. 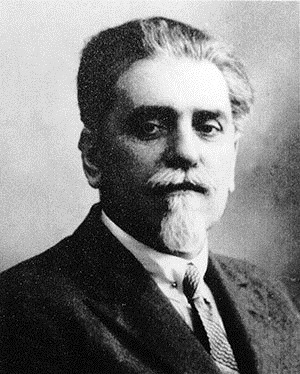 After the fall of the independent republic, he became scientific secretary of the Scientific Institute of Etchmiadzin (1921-1922) and then principal of the school of second degree of Vagharshapat (1922-1928) and teacher until 1930. Ter-Minasian’s past both as a former ecclesiastic and as researcher in ecclesiastic history was not politically correct in the Soviet regime. 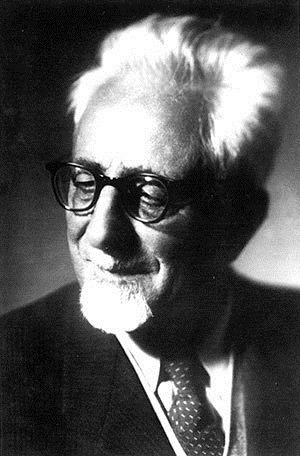 He took as many precautions as he could to avoid unpleasant surprises: after 1930, when he moved to Yerevan, he earned his living as one of the most authoritative experts of the German language in the country. Furthermore, he would be one of the foremost translators and editors of Marxist classics (Marx, Engels, Lenin) from German and Russian. He initially taught at the Pedagogical Technical School (1930-31) and the Agricultural Institute (1940-1947) as German teacher and chair of the foreign language department. He also taught at Yerevan State University with the same positions from 1943-1948. In 1945 Ter-Minasian was invited by the Academy of Sciences to deliver a lecture on “The Armenian Literature of the Golden Age,” which was published as a booklet in 1946. The word vosgetar (ոսկեդար, “Golden Age”), commonly used to describe Armenian literature of the fifth century A.D., became a pretext for political attacks, and the almost seventy-year-old scholar was fired from his position at the university in 1948. Two years later, he was able to take a part-time job as a teacher at the Institute of Foreign Languages, and in 1951 he got a position as senior researcher in the Institute of Linguistics of the Academy of Sciences. He became head of the section of dictionary writing in the same institute from 1955-1970. Ter-Minasian left an important work in the field of bilingual dictionaries, but most importantly as a scholar of Armenian-Syriac relations, the origin of Christian sects, the doctrinal position of the Armenian Church in the 5th-7th centuries, and other related issues. He also prepared the critical edition of Yeghishe’s On Vartan and the War of the Armenians (the history of the war of Vartanantz), as well as its translation into Modern Armenian. In his last years, Ter-Minasian wrote his memoirs, which remained unpublished until 2005. He passed away on July 12, 1974, at the age of 95. This Sunday, May 2, 2015, the Armenian Church commemorates the Feast of the Apparition of the Cross (Yerevoumun Sourp Khatchi). The Apparition of the Holy Cross is the first feast dedicated to the Holy Cross in the Armenian liturgical calendar. It is celebrated in remembrance of the appearance of the sign of the cross over the city of Jerusalem in 351 that remained in the sky for several hours. The apparition extended from Golgotha to the Mount of Olives (about two miles), and was brighter than the sun and was seen by everyone in Jerusalem. The Patriarch of Jerusalem, Cyril, used this occasion to remind Emperor Constantius of Byzantium of his father’s (Constantine the Great) orthodox faith. Cyril said the Apparition was further reason to return to orthodoxy. Traditionally, the Armenian translation of Cyril’s message is read on this feast day during the Antasdan prior to the Gospel lection. This event is celebrated by the Armenian and Greek churches. The Greeks observe it on the fixed date of May 7, while the Armenian date is moveable depending on the date of Easter. It is celebrated on the fifth Sunday of Easter, which is the fourth Sunday after Easter. Cyril is a revered Doctor of the Church and he is remembered in the Armenian Church’s liturgical calendar. This year he was honored on Saturday, March 3.